Nice score Jim, that is a neat little guitar! That is nice! How does it play - comparatively speaking with other classical models, I mean? 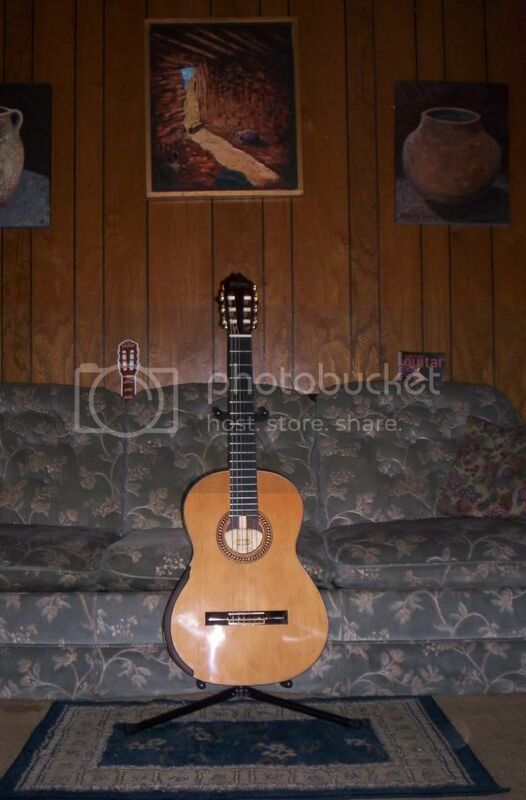 I think the majority of classical guitars has a cedar top. There are models with a spruce top, but the majority are cedar. Cedar has a different sound that spruce. Usually considered warmer, with not as sharp an attack. Some picture of my 1988 C-20 N. I think it's a cedar top !!!! Most of us use Photobucket dot com for our photo hosting site. Once you've uploaded a photo, place your cursor on the photo and 4 "codes" will appear below the photo. Copy the IMG code and paste it into your post and your photo will appear. Good luck...sure would like to see this one. If Jim says it's a keeper, you can take that to the bank!